Please be on time for your appointment or call if you will be more than 15 minutes late. If you cannot make your appointment, please give at least 24 hours notice. Your spa appointment is a reservation for service. 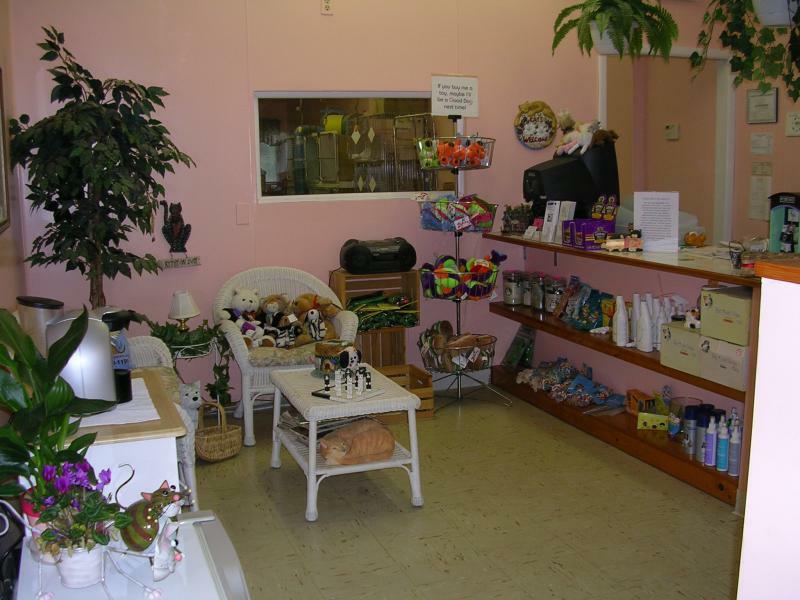 To provide individualized attention to each pampered pet, we take only a limited number of appointments each day. Missed appointments are a serious loss of income to a small service. Advanced notice of cancellation allows us to fill your grooming slot. All missed appointments without 24 hour notice may be subject to the full grooming fee. Several missed appointments will require non-refundable prepayment of the grooming servies. please do not allow your pet to mark anywhere in the reception area! If possible, please HOLD unneutered males. Items urinated on will be paid for by the owner. Please do not allow your pet to defecate in the parking lot area without picking up after him. Any client caught doing so will be refused future grooming services. Pick up bags are available inside the spa. Please fully walk your pet before grooming ~ there is a $5 clean up fee for those pets who have not been walked and/or a $5 rebathing fee if needed. At groomingdales, we will not ask you for proof of up to date vaccinations. Vaccination protocol is up to each individual owner and their veterinarian. Even veterinarians disagree as to the frequency of vaccines therefore we leave it up to each individual owner. As long as you are comfortable with your pampered pets level of protection, so are we. Pets in poor coat condition take longer to groom. Additional charges may apply based on the additional length of time it takes to groom your pet. Please brush and comb your pet prior to grooming. Attempting to brush out excessively knotted or matted coats can be very painful to your pet. We will NOT hurt your pet! In addition, excessive dematting can cause repetitive motion injuries to a pet stylist's hands ~ not fair to ask a stylist to risk injury when their livlihood depends on the health of their hands and wrists. Therefore, pets that are excessively knotted or matted will be clipped short. We will not groom aggressive pets. It is not unusual for a pet to not like having nails clipped or other "offensive" things done to them. Gentle techniques and safe, gentle restraints will be used to assist the pet stylist in these tasks. If your pet becomes aggressive to the point that grooming is not safe for the stylist, your pet will be sent home and you will be charged the full price of the groom. If you have a pet that you know will bite and not accept normal handling, may we suggest you click on the link to our obedience trainer? Payment is due at time of service, after the groom is completed. We accept cash (! ), checks, VISA, MC, AMEX and DISC. Copyright 2011 groomingdales pet spa. All rights reserved.